ARHA offers the convenience of online registration or you can download and print out the Certificate of Eligibility Application and submit it via email or snail mail. All horses competing in an ARHA approved events must be registered (Certificate Of Eligibility) with ARHA and use this certificate when entering any approved show. Please note, the Certificate Of Eligibility registrations are permanent when issued to each horse. The certificate is not renewed each year. A transfer procedure is required to update ownership when a horse is purchased or sold. The Certificate Of Eligibility will be returned to the recorded owner. The owner is responsible for providing photocopy of the COE to any person needing them for entry in any ARHA approved show. Complete the Certificate of Eligibility Application along with required fees and a copy of the horse’s breed association papers. DO NOT SEND YOUR ORIGINAL BREED ASSOCIATION PAPERS! Please allow 2-3 weeks for the registration process. 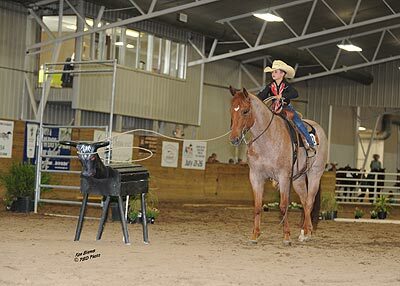 All Western/Stock type breeds will be permitted to show in the American Ranch Horse Association, Grade horses are also accepted but owner must submit photos and videos. POA’s, Quarter Pony’s, Mustangs, and must be a minimum of 13’2 hands. NO GAITED HORSES ARE PERMITTED!